The 28 meter long high speed passenger ferry Tyrving allided with the quay at Langevåg, Norway. The Tyrving was attempting to berth during a squall when it was pushed against the gangway. 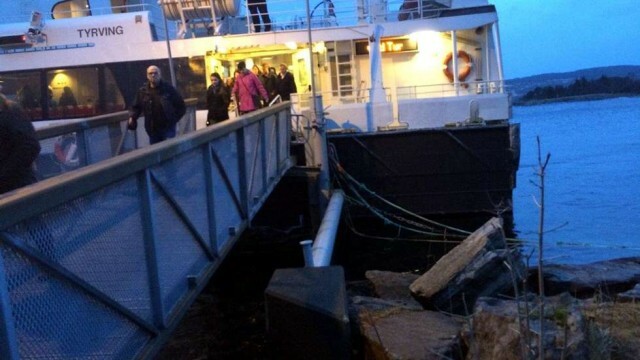 The landing sustained some damage including the gangway, but no crew or passengers were injured. Reports state the passengers heard a loud bang before the dock was pushed down. No reports of pollution released and no damage to the ferry.